Photograph of J. W. Shute's bank in Hillsboro. J. W. Shute started the First Commercial Bank in Hillsboro in 1888, and this bank was the fist bank in Washington County. 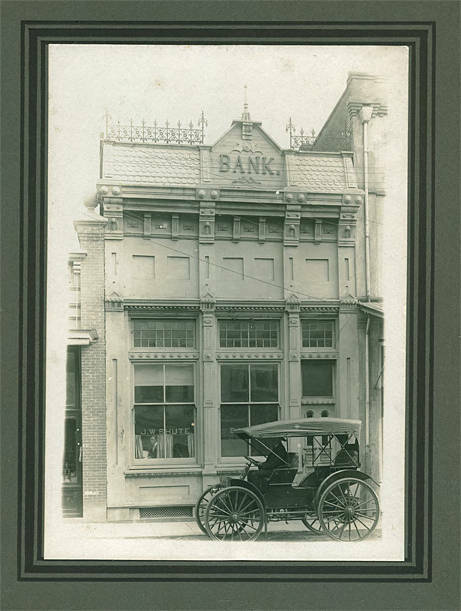 This first bank closed in 1897, after which Mr. Shute started a bank of his own. J. W. Shute was a prominent early citizen of Hillsboro, and Shute Park is named after him.